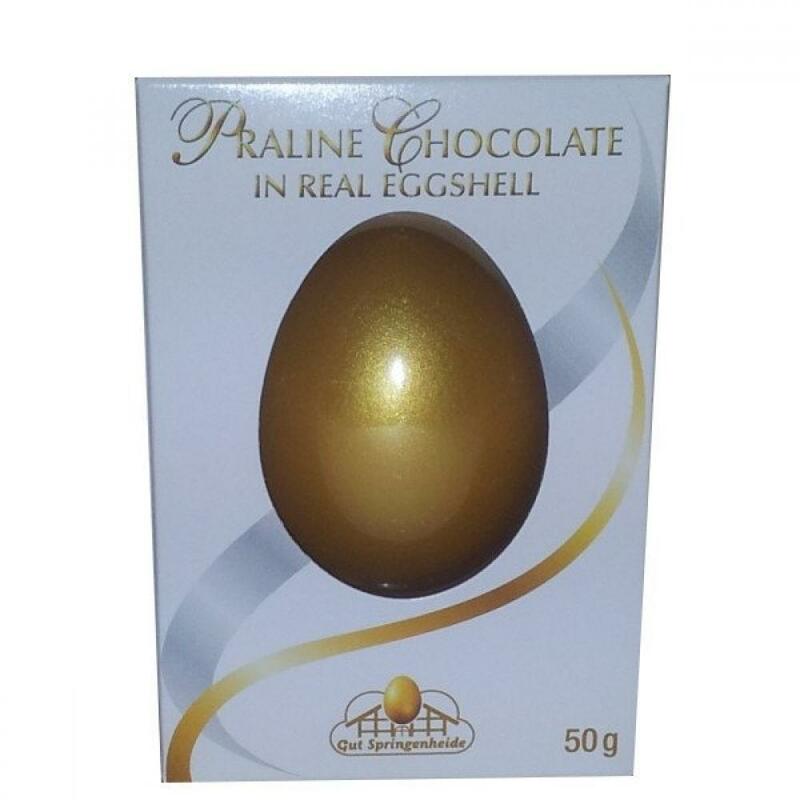 Praline Chocolate in a real egg shell. Chill the egg for 15 minutes the crack and peel and enjoy the Truly Scrumtpious flavour. Great for an Easter egg hunt or wedding favour.